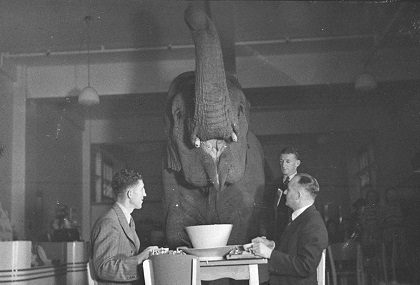 Is auto enrolling your staff to a workplace pension turning into an elephant in the room? Know you need to deal with it but just haven't found the time? Running a business of any size demands all of your attention and focus. There are some tasks that simply have to be completed, for compliance reasons, which do not enhance your company's bottom line. These requirements are often best met by qualified professionals, very often through an outsource arrangement. Auto-Enrolment is one such issue. The process of automatically enrolling every eligible employee into a work place pension, communicating details of the process to all staff members, ensuring they are aware how and when they can opt-out, and maintaining compliant evaluation processes over the coming years is an extra burden on your time. From initial evaluation of your staging date, staff eligibility, and communicating the process to your employees, through to the ongoing maintenance of records as part of every payroll run, we can take full responsibility for ensuring your experience of auto-enrolment is as simple as possible. Our processes are fully compliant with The Pensions Regulator requirements. Our tailored software packages ensure all payments and submissions are made accurately, on time. Employers who fail to act upon statutory/compliance notices are liable to substantial penalties from The Pensions Regulator. By outsourcing the processing of auto-enrolment to Firefly, our clients are protecting themselves against any potential failure to comply or act on time. Firefly staff have received extensive auto-enrolment training and familiarisation to ensure we can offer our usual high standards of service. The introduction of auto-enrolment has led to the birth of a plethora of 'specialist' companies, claiming to offer an indispensable service, often creating a sense of mystery and exaggerated complication in relation to the required processes. The associated fees or charges some such companies make could be viewed as being excessive. In some instances payment is even sought through your employees, as opposed to the employer! The simple fact is that auto-enrolment is a potential added drain on your time and it does carry a potential for penalties if not handled correctly. That is not justification for your organisation suffering excessive set-up or processing fees. Firefly are proud to set-up and process auto-enrolment for their existing clients at a minimal cost. The ongoing evaluation for staff members and auto-enrolment of eligible new starters are tasks that can be supplementary to the processes we perform for every payrun, limiting the extra cost to a sensible and justified level. Find out more about how Firefly could help you. Call 0845 073 9400 for a free, no obligation consultation.